It’s been a while since I’ve written out a List of 100 Dreams. Five years, to be exact. So in the aftermath of recording my time for 672 hours, and thinking about what I’d like to do with my time, I thought I’d make a new list. Here it is. I welcome suggestions and ideas people have on fulfilling any of these! Travel goals — this is always the easy part for people! 43. Go on some sort of culinary retreat/camp. I’m writing a novel about an “institute for the domestic arts” and I want to attend such a thing! 44. Back up my photos, videos, documents. This is more of a “to do” than a dream. 46. Get a better headshot. 49. Write another novel. Many more novels — like one every few years or so. Have you got your copy of The Cortlandt Boys yet? 52. Do a writing retreat at the beach. Eventually, make a writing retreat an annual thing. Maybe a residency occasionally too. 56. Get better at my keynote speech and actually market it. I’d love to do more big speeches! 57. Write more book reviews — maybe for a bigger outlet. 63. Get a blogging group/group blog project going. Maybe some bloggers I could meet in person too. 64. Join a mastermind group. Or find some more mentors. A close-knit group of amazing writers, ideally. 68. Teach writing at a university – maybe just for a term or two. 69. Create strategic thinking time weekly to ponder ideas. 72. Take more family photos: every 6 months at least! My baby is coming into peak cuteness time! 73. Become more of a children’s book connoisseur, and upgrade our selection – which will encourage me in my goal of reading more to my kids. 76. Take my daughter to American Girl Place. I’m not sure if that’s a dream or is contractually required when raising a little girl. 78. Create smaller one-on-one interactive time weekly. 79. Maintain and expand my sitter portfolio — I need to follow my own advice on this. 80. Help my 5-year-old learn to love reading and writing. He’s almost there, and it’s so cool to watch a child decode things for the first time. 81. Encourage each kid to take on projects. My 8-year-old has been reading the “Who was…” biography series books, and he created a timeline as part of a “Who is Laura Vanderkam?” project he chose to do on his own, which I find hilarious, partly because of what he thinks are highlights. Like he wanted to put that I went to a Jane Goodall speech on there, and also when I interviewed Ashrita Furman. 83. Don’t shy from taking family trips. The memories are worth the annoying parts. In the rearview mirror, going to the Netherlands during tulip time was really cool, even if it was sometimes stressful in the moment. 86. Chaperone more field trips. Maybe even like a week-long church mission trip when the kids are older! 87. Pick strawberries and apples yearly. We did strawberries the other day. They were so good, and even better with home-made whipped cream on them! 90. Take more walks, with the kids when I can. My 8-year-old went on one with me the other night and held my hand the whole time, which was so sweet, and poignant, since I suspect he will refuse to do that within the year. 91. Find some more great blogs to read and some more good websites too. 92. Sit out on the porch whenever I can. I’m doing better about getting out there in the morning with my coffee. 93. Get better about thinking through opportunities I could create for people. I forget how many people I know sometimes, and my brain doesn’t always work that way, but when I do try I do decently. 94. Keep going with my time log. I’ve now done 6 weeks straight! Data data data! 100. Have one of my novels made into a movie. Then I might actually watch a movie! If you create a List of 100 Dreams, please leave a link in the comments! Or just give me your top 5. If you like my blog, you might also like my book, I Know How She Does It. 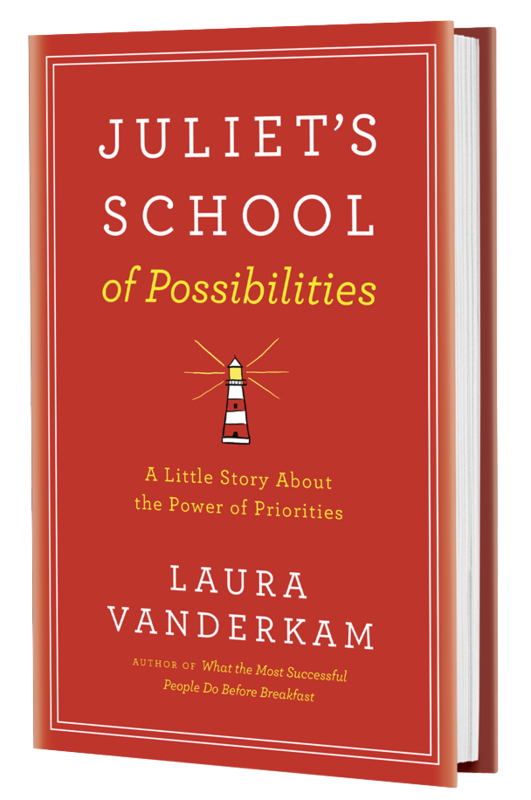 Pre-order by June 2 and you can join my book club, with perks including an autographed book plate, excerpts, and access to two book club webinars around launch. The first will be on June 2, so don’t miss it! Pingback: The Internet Gets Me Every Time | Jan. 15th ed. Pingback: Frugality and Dreams – You CAN Have Both – Stop. Drop. Save. Don’t be so sure about travel being the easy part. I’d like to see parts of the UK, but since the destination is only a part of the journey (the rest being airlines, TSA/CATSA, hotels, …), travel isn’t generally a Dream (unless we’re meant to include Nightmares in the Dreams).